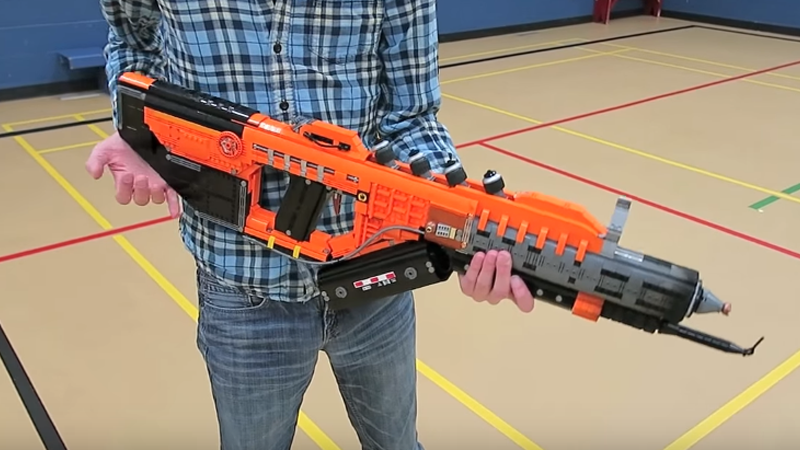 ZaziNombies created a 1,200-piece, 3-foot long replica of one of the most unique weapons from CoD: Black Ops III, the Purifier. Some of the bricks look a bit toasty, as you can see in the top pic above. That’s because Zazi took things a step further by adding real flames to his build. Alright, we got it! It’s the perfect flamethrower replica, just don’t destroy those poor blocks! And absolutely don’t try this at home (or anywhere else).